Massachusetts District Attorneys aggressively prosecute drunk drivers. If you have been arrested for operating under the influence (DUI/DWI/OUI), you face the possibility of serious criminal penalties and substantial license loss. Protect your rights by retaining an experienced Massachusetts OUI defense lawyer at the Coughlin Law Group. Our DUI defense team includes former prosecutors who are experienced DUI defense lawyers that have handled hundreds of DUI cases and are committed to protecting your rights. If you were pulled over and refused the breathalyzer, we provide an aggressive defense against drunk driving and related charges. First-offense DUI: Even if it is your first conviction for drunk driving in the state of Massachusetts, you could face serious penalties. This includes the loss of your driver’s license for 45 to 90 days, up to 2.5 years imprisonment, $500 to $5,000 in fines, fees and a criminal record. You will also be required to participate in a weekly alcohol awareness program. Second-offense DUI: With your second offense, the penalties increase. First, there is a mandatory minimum 30-day jail sentence. The maximum sentence is 2.5 years in prison. You could also owe $600 to $10,000 in fines and lose your license. 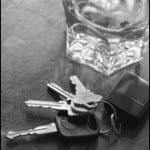 Our lawyers can help you understand Massachusetts DUI and your rights. Third-offense and greater DUI (aka Felony DUI): The third offense can result in $1,000 to $15,000 in fines and a minimum 150-day jail sentence. A fourth conviction is a felony charge, which means you can spend a minimum one year state prison sentence and lose your right to own a gun and vote. Operating on a license suspended for a DUI conviction: If your license was suspended after a DUI and you are arrested for driving with a suspended license, you will face a mandatory 60-day jail sentence. You will also face $500 in fines. DUI drugs: The penalties you face for driving under the influence of drugs are the same as with alcohol. Our attorneys can help you fight the charges you face and avoid serious penalties for driving under the influence of marijuana, prescription medication and other drugs. Motor vehicle homicide: Motor vehicle homicide negligence that results in death is a serious crime. When the accident involves DUI, however, the penalties increase. Whether you are charged with vehicular homicide under the influence of alcohol or drugs, you could face serious penalties. This includes up to $5,000 in fines and up to 2.5 years imprisonment, one year of which is mandatory. Underage drunk driving (drivers under 21): An underage driver need only have .02 percent blood alcohol content (BAC) to lose his or her license. If the underage driver has a BAC of .08 or greater, he or she can be convicted of drunk driving in Massachusetts and face the same penalties as a driver over the age of 21. Contact us at 617-758-8888 to schedule a free consultation with a Boston DUI Defense Attorney at Coughlin Law Group. Call us anytime, 24/7 for help or check FAQ section. Did the police have sufficient cause to stop your vehicle? Did the police properly administer your field sobriety tests? Did the police properly administer your breath test? Did the police have cause to make a valid arrest? Do not plead guilty to any drunk driving charge before speaking with an attorney. Massachusetts DUI laws are highly technical. Even if you were over the legal limit, we may be able to discover a police error or flaw in the prosecution’s case that we can use to your advantage. Even if the prosecution has a strong case and you do not wish to fight your charges at trial, our Massachusetts DUI defense attorneys can negotiate on your behalf to seek the best possible resolution to your case that protects your rights and minimizes your exposure to adverse penalties. To schedule a free consultation with an experienced Boston criminal defense lawyer at Coughlin Law Group, call 617-758-8888 or contact us by e-mail.